It may not feel like it yet, but Spring officially started, March 20th, on the vernal equinox. What is the vernal equinox? It is the date in the northern hemisphere when day and night last about the same 12 hours. The word “vernal” comes from the Latin word for Spring while “equinox” literally means equal night, as both day and night last an equal time. This is the day that the sun shines directly on the earth’s equator because the earth’s axis is exactly perpendicular to the sun’s rays. The equinox is the time of new beginnings, birth and fresh starts. 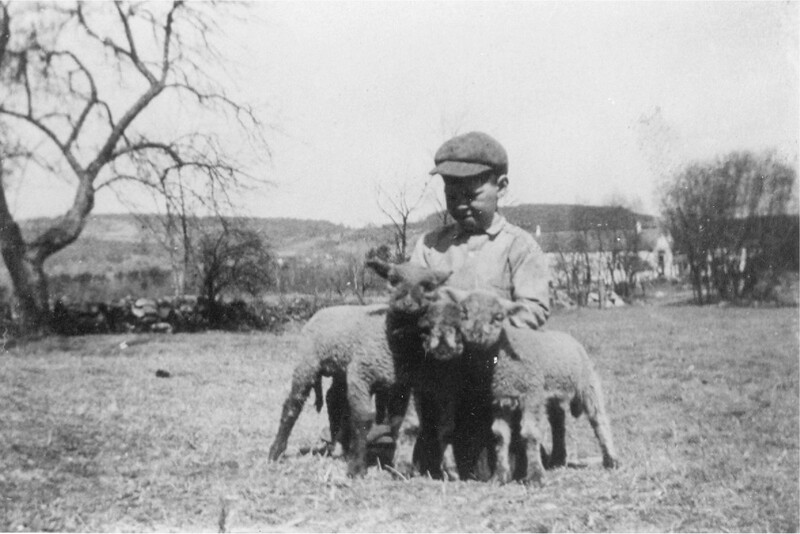 In the photograph the spring lambs have just been born on Johnson’s Farm. In the background you can see the huge barn which once stood on what is known today as the Chadwick Farm. Open fields climb to the top of both Jenny’s and Dinsmore Hill.